Learn how to combine crystal grids with natural magick to bring desires into fruition. Discover the power of working with sacred geometry, lunar phases, herbs, crystals and Wiccan spirituality. To pay or register please visit Angel Light School of Metaphysics. Step into the enchanting world of crystals and stones and see what messages they have for you. Discover how they can balance your chakras to bring harmony into your life. Determine the benefits of clusters, generators, pyramids and wands. Learn how to make gem essence for healing and well-being. Date: Sunday June 2, 2019 from 1 - 3 p.m.
Fee: $45.00 includes 3 tumbled stones chosen just for you and a pouch. For payment and registration please visit: Angel Light School of Metaphysics. Immerse yourself in the mystical, magical world of quartz crystals. Uncover the power of window crystals, time link crystals, record keepers, Isis crystals and more. 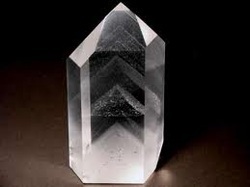 Apply quartz for crystal gazing, astral travel, meditation and channeling. 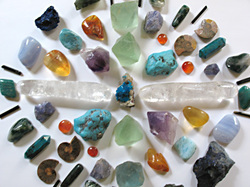 Learn how to choose, clear and program a crystal to bring manifestations into your life. Date: Sunday June 23, 2019 from 1:00--3:00 p.m.
Fee: $45 includes two clear quartz crystals and pouch. Chakras are subtle energy centers in the body that influences one's body, mind and spirit. Learn about the function, anatomy, element, color and stones associated with each chakra and how to balance them for optimal well-being. Date: Sunday April 28, 2019 from 1 - 3 p.m.
​Payment: Cash/Check accepted on the day of class. ​ Angel Light School of Metaphysics. For payment and registration please visit Angel Light School of Metaphysics. Feb. 9th: Spirit Guides- Learn about your spirit guides! A primer, plus deep guided meditation. Learn great tools to communicate and work with them daily! We also will go in depth with a meditation, and you will meet your guide, or work more in depth with the one you have. March 9th: Female Ascended Masters- Female Ascended Masters, deep meditation, and healing techniques!We will learn a bit about some of the Female Ascended Masters, and also learn some techniques to do some healing with them! We will practice them in class, and on each other. Quan Yin, Mary Magdalene, Lady Nada, and more. A deep, guided meditation is also in store for you, and you will feel so peaceful, and healed afterwards. Join us! 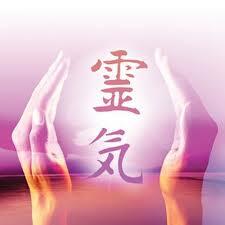 May 11th: Manifesting your Miracles! Learn tools for creating your mockups, and class practice! Techniques for manifesting your hearts desire! You will learn many tools and techniques for making mockups, and creating what you wish in this workshop! There will be a lecture, different techniques (tools for your spirit toolbox! ), and lots of practice in this class! Please join us! These tools work! Fee: Pre pay $40 online or $45 @ the door from 3-5 p.m.
**If you missed Helena Mazzariello's Tele-Classes: Psychic Protection 1&2 and Meet your Guide Team!, you can still purchase the recordings at Angel Light School of Metaphysics.